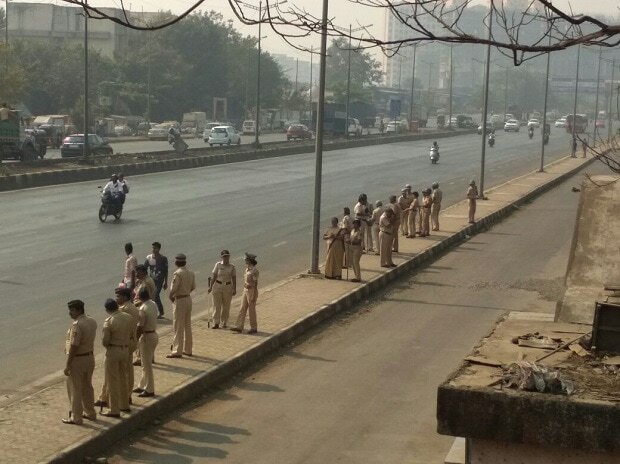 The Police stand guard on a deserted road in Ghatkopar, Mumbai, as caste violence escalates in the city on Wednesday. 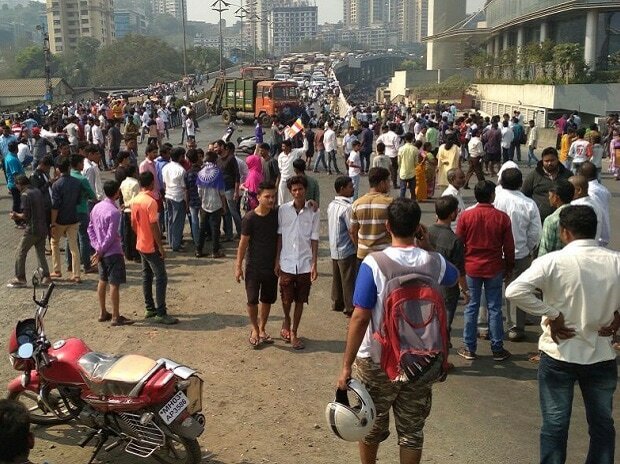 A backpacker (seen in foreground) looks on as protesters halt traffic on the second day of caste violence in Mumbai. 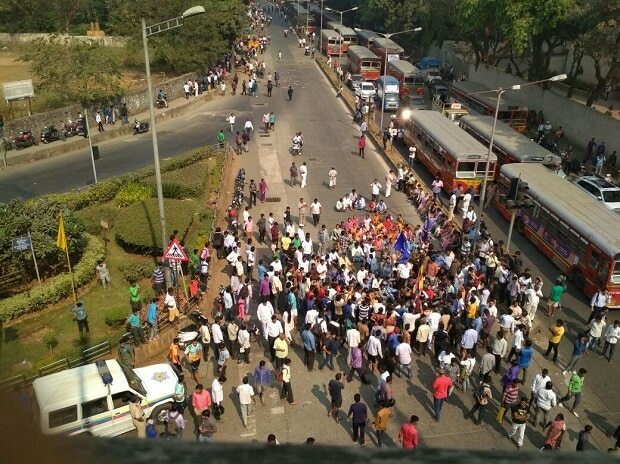 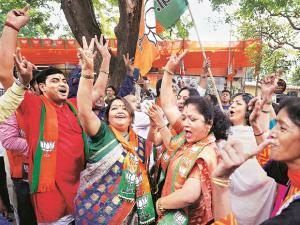 Protesters throng an intersection in Powai, Mumbai. 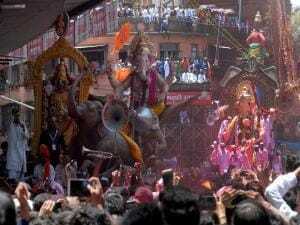 The city's BEST undertaking was running a skeletal bus service on the second day of the caste violence in India's financial capital. 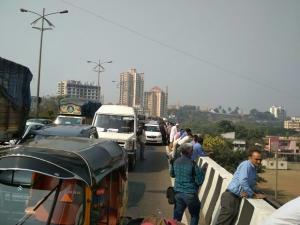 Traffic comes to a standstill at a flyover in Ghatkopar as caste violence in Mumbai enters the second day. 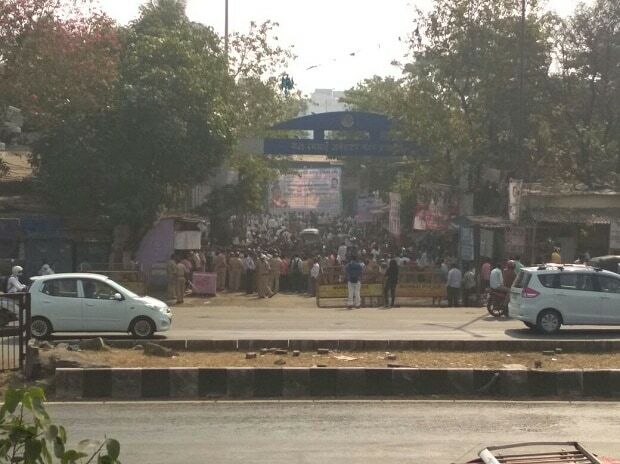 Mobs throng an educational institution in Ghatkopar, Mumbai, as caste violence in the city enters the second day. 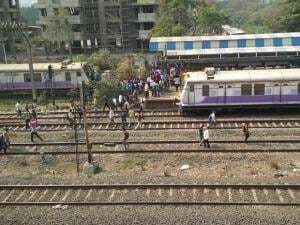 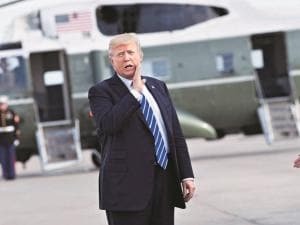 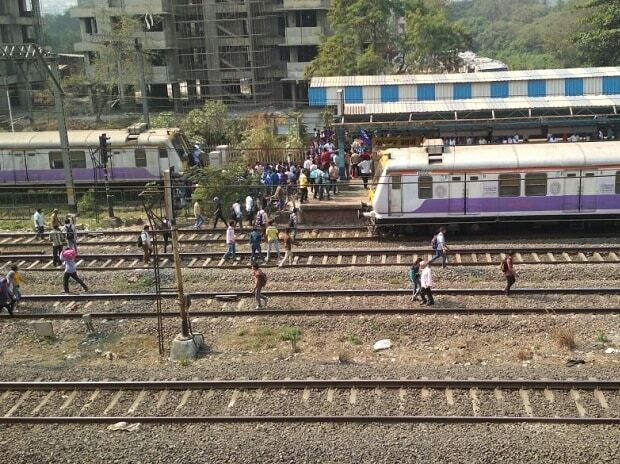 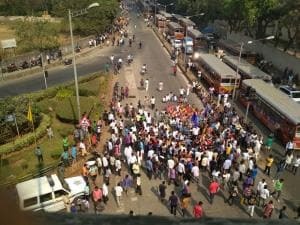 The suburban railway service in Mumbai is impacted on Wednesday as caste violence escalates in the city on Wednesday. 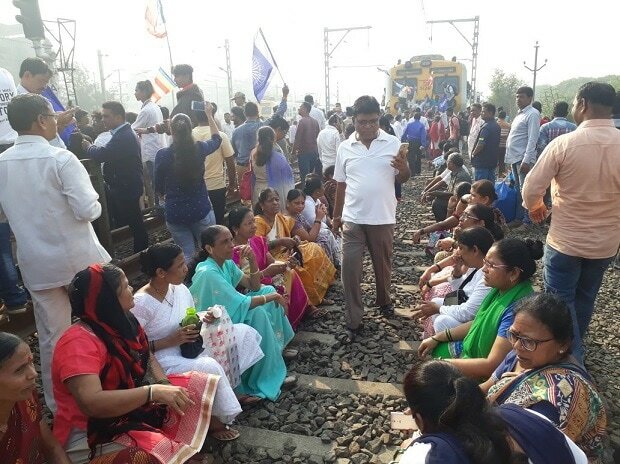 Large number of protesters have occupied the railway tracks at Nallasopara Station, disrupting rail traffic.